There IS a way to get weekly massages that don’t break the bank! No excuses for feeling stiff and sore anymore. Make ME-TIME with a few well placed massage balls to release tension in the neck, shoulders, back and hips as well as all the way down to your toes. 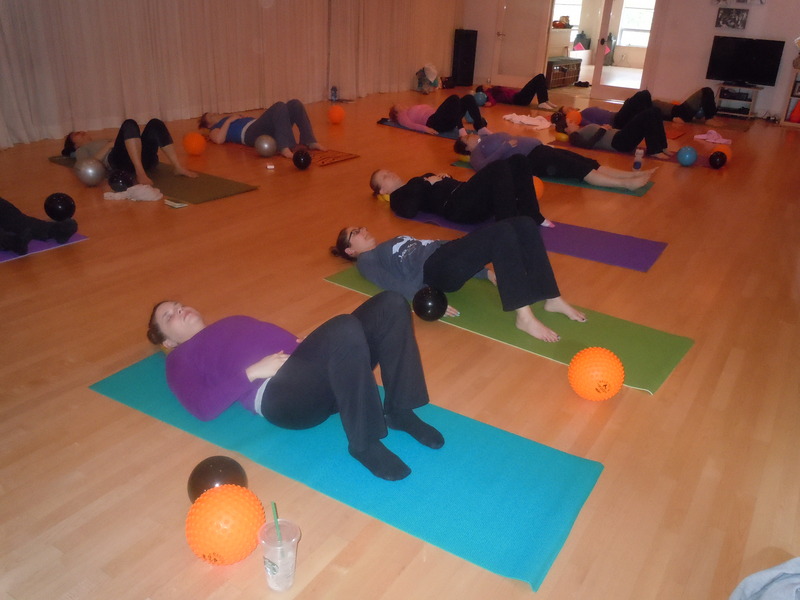 Commit to loving yourself over the holidays with a Massage Ball Workshop. 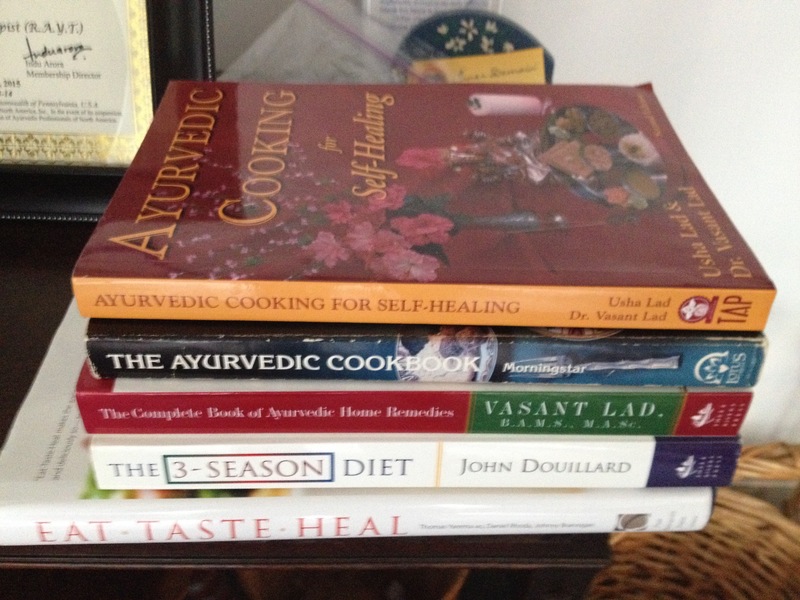 Please join me on Sunday, January 21st from 2-4 pm at One Aum Wellness Center in Potomac, MD. Expect lots of stretching and release of muscular tension during a thorough ball routine. We will work with a variety of balls that are available for purchase after the workshop. Cost is $35 plus $20 to include the Essential Body Massage Ball. Location is 10008 Falls Rd in Potomac. Register by clicking the workshop link above. 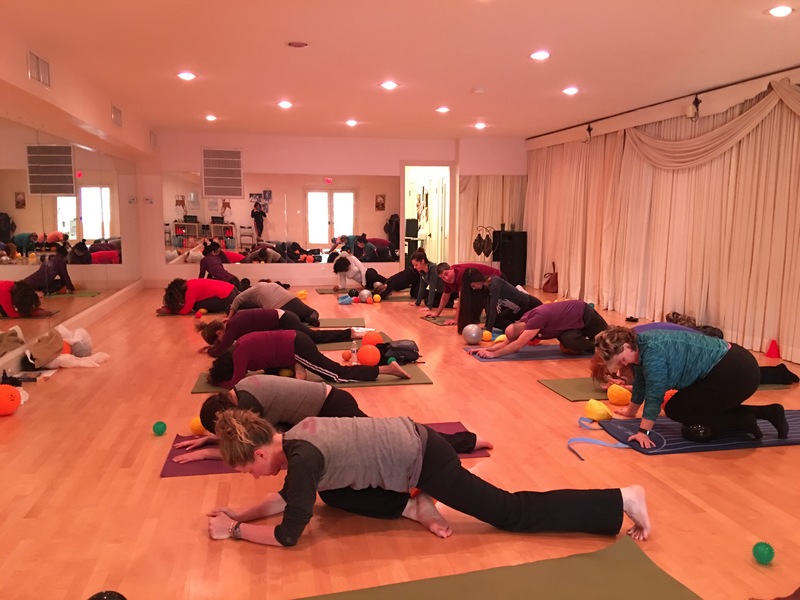 The objectives of this workshop are to demonstrate and teach the use of massage balls for achieving deep tissue massage, acupressure release and overall body flexibility.The focus will be on the neck, shoulders, spine and buttocks. The outcome will be a rejuvenated body with improved range of motion for daily tasks, the restoration of athletic flexibility and a decreased propensity for injuries.You will learn self-administered techniques for sustaining a healthy, flexible and pain free body. *Using massage balls of various sizes and firmness, in combination with movements to promote spinal flexibility and deep tissue release. Balls for the workshop will be provided and are available for purchase after the class. Please wear a long sleeved top and pants and bring a yoga mat. NO MORE EXCUSES for feeling stiff and sore. Make some ME-TIME for yourself this holiday season. You won’t regret it!